Full of silliness, songs, books, and more! Held on Friday mornings at 10:00am, this 15 minute storytime is followed by 15 minutes of play time. This storytime is appropriate for those wonderful wobblers ages 15 months to 3 years and their grown-ups (and siblings are always welcome)! Please pick up a storytime ticket at the children's desk beginning 15 minutes before the start of storytime. To accomodate fire code, we will allow 20 families in the room. 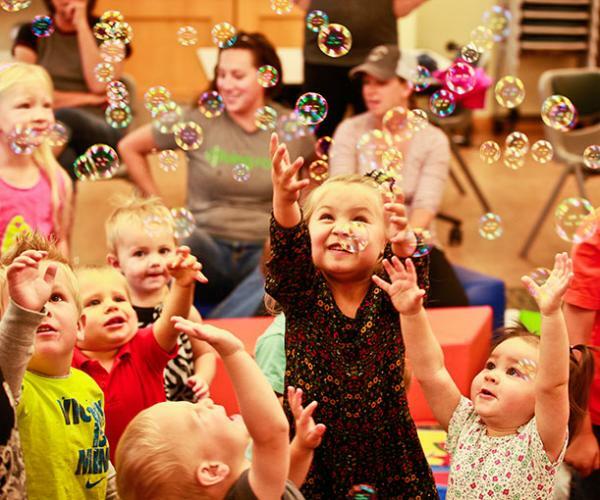 For those planning on attending 2 storytimes in one day, preference for the 2nd storytime will be given to those families who have not yet attended a storytime. Tickets are first come, first served and cannot be held for friends. We apologize in advance for any inconvenience. Please contact Monica for more information at monicag@clearviewlibrary.org.